We received a fabulous service!! The car was immaculate and decorated in our colour scheme! Our driver was very friendly and helped the day be even more wonderful by stopping at the hospital, where my Nan was, as she was too poorly to attend! Fabulous services, would definitely recommend. Firstly would like to say a massive thank you. The service provided was excellent. 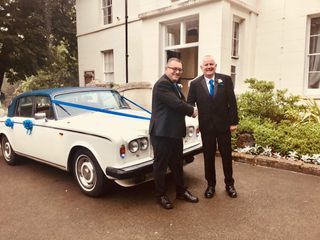 The cars arrived before schedule, the journey was pleasant despite being terribly nervous, Wynford made the journey very pleasant. The cars were beautifully clean and well maintained. Cannot praise the service enough. 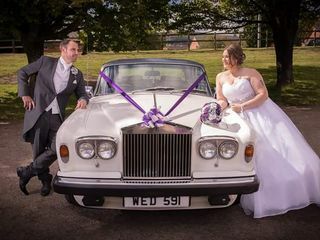 Fabulous from start to finish, both cars looked beautiful, colour of choice with ribbons , made me feel so relaxed! Me and my husband would highly recommend, price was very reasonable, on time and very professional. "I have booked cars with Wynford from WWCHS on two occasions, once as a present for friends and a second time for family. 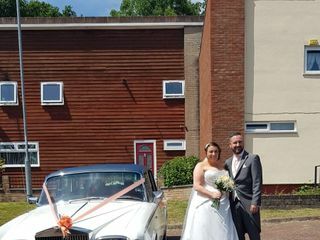 I cannot fault the outstanding 5* service, nothing is too much trouble for WWCHS, they really do go the extra mile and will definitely get you to the church on time! Highly recommended, without hesitation." I cannot recommend this company strongly enough. Absolutely professional in every way. Will go the extra mile as standard. Nothing is too much. We had 3 cars. All immaculate. Attention to detail with the colour scheme matching mine exactly. The wedding was miles away from home but did not seem to be reflected in any extra cost. A fantastic experience I would recommend to all. Wynford and his team of drivers are fantastic and the cars are beautiful. Wynford goes above and beyond to make your day extra special. 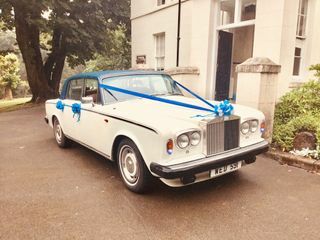 On our big day Wynford picked our party up on time, took us for a fantastic ride in the Rolls Royce and then even come back at the end of our wedding to make sure we got home safe and sound. 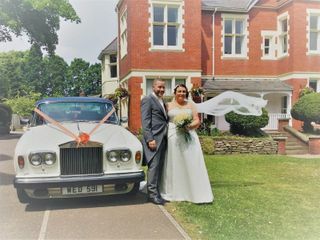 Wynford Thomas of Windsor Wedding Cars was our driver for our wedding. The cars were immaculate and beautifully presented, as were the drivers. Not to mention Wynford is an incredibly nice man who goes over and above, I know this from our wedding day. After the church we made an out the blue request to make a quick stop to visit an elderly relative who unfortunately could not make the day. Without hesitation he drove to the house and without rushing us he patiently waited while we quickly popped in so we could have a photo done. 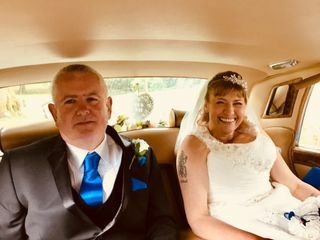 Undoubtedly he would have been anxious as to his next booking nevertheless he understood how important our big day was to us and those around us. He also took some lovely photos himself of our cherished day. 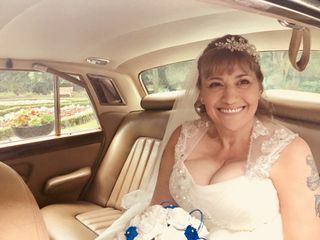 As marriage is for a lifetime I am not expecting to have another wedding however I would not hesitate to hire Windsor Wedding again and would always recommend to any potential brides!